This is for small groups of children (6 children maximum). 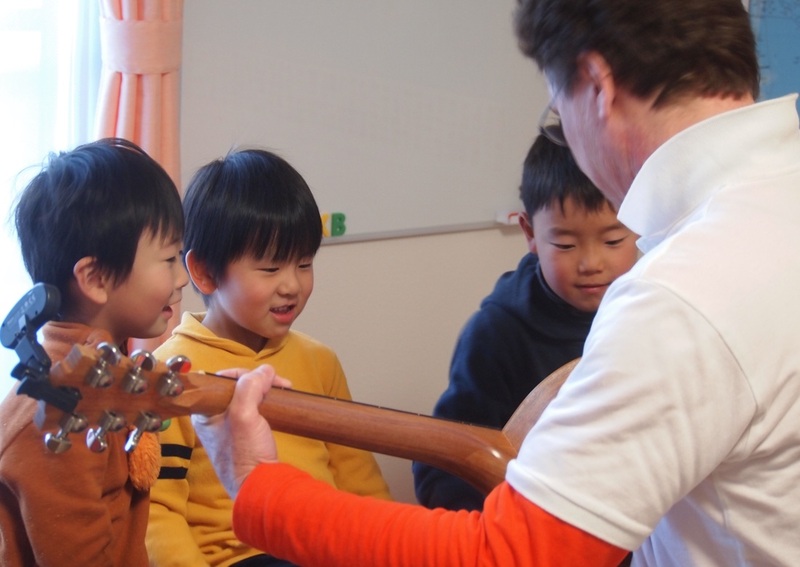 We have a selection of age groups that enjoy a 1 hour session of English that is fun and educational. Focussing on vocabulary, pronunciation, conversation, games and music. Bookings are essential. Email or call us for details. The Jump accepts children from the age of four years old. If you are curious about travelling to Australia to study English then The Jump is here to help. This service is about support and guidance. Studying English in Australia is a great and rewarding experience so take the Jump. Travel, work and learn. Come to The Jump. We will sit and discuss with you your ideas. We will help you with planning and inquiries. If you want to learn to play guitar or just learn how to play some of your favourite songs then book your guitar lessons today. Bring your own guitar to class. Beginners to intermediate. No English language skills required. One-on-one. 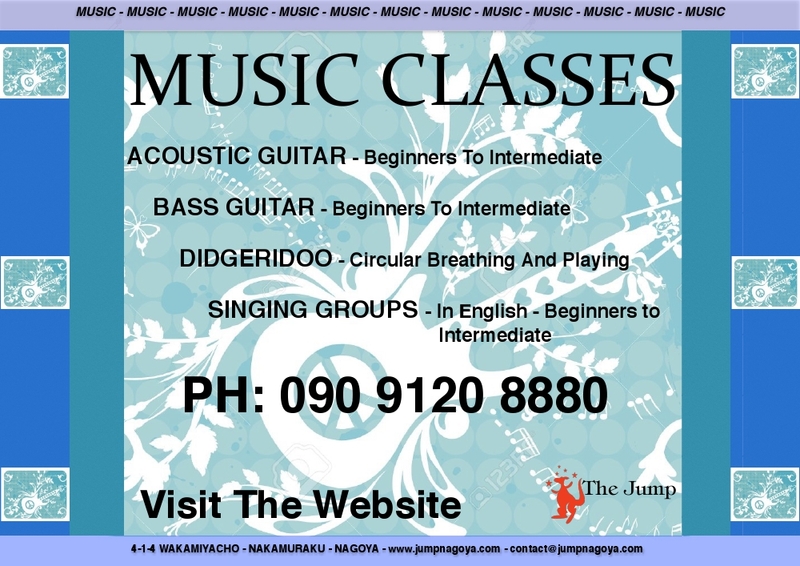 The bass guitar is a great instrument to learn especially for people who love rhythm and movement. Bring your own bass guitar to the class. No English language skills required. Beginners to intermediate. One-on-one. The didgeridoo is an ancient musical instrument made famous by the Aboriginal People of Australia. It has a hypnotic and soothing drone sound. Learn how to master the ancient technique of circular breathing. Great for the mind, body and spirit. No English language skills required. One-on-one and group bookings OK. 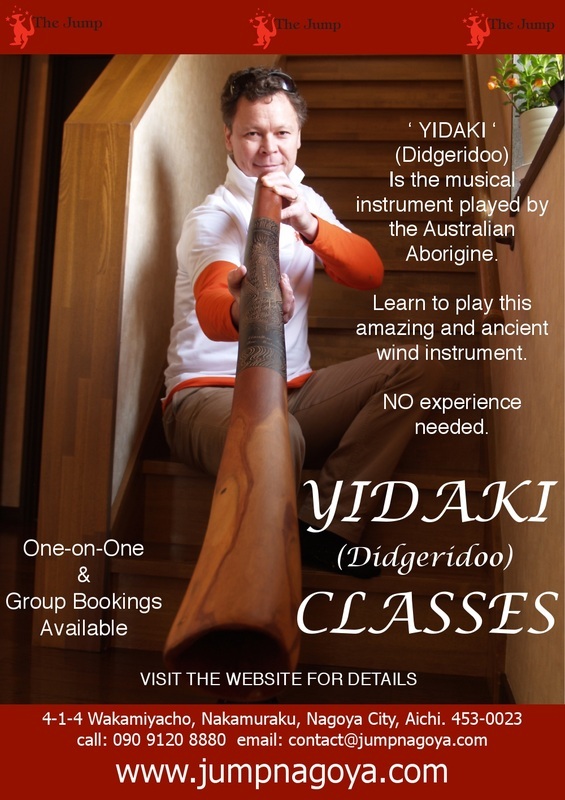 Practice Didgeridoos are provided for this class.